Posted: January 22, 2012 1:30 a.m. 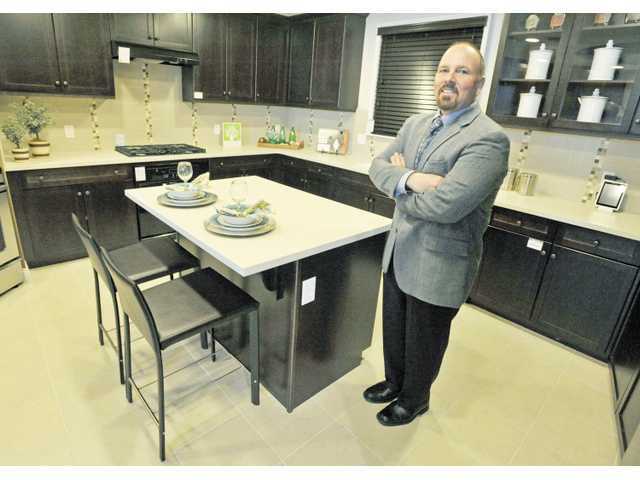 Updated: January 22, 2012 1:30 a.m.
Tom DiPrima stands in a model kitchen at the KB Home Studio in Valencia. A new-home interior design studio, KB Home Studio, is open off Tourney Road and Valencia Boulevard in Santa Clarita, showcasing the thousands of options new homebuyers are offered by the builder KB Home today. The home-design studio is only one of three in Southern California. Under the company’s Built to Order program, buyers are allowed to customize their home in nearly every way — and much of the customization comes standard with the price of each home. Gone are the days where buyers select the color of carpet and tile from a handful of samples. Today’s owners browse fully built kitchens and bathrooms, while selecting everything from type of tile and carpet, and color, to the faucets, molding, window coverings, lighting fixtures, toilets, exterior and interior doors, cabinetry and knobs. Even the exteriors can be customized, said Tom DiPrima, executive vice-president, KB Home Southern California division as he displayed exterior choices and various garage doors. When people are giving directions to their home, they always refer to some unique feature of their house as a landmark, DePrima said. Buyers don’t want a cookie-cutter look to every home on the street. Perhaps the most buyer-friendly feature of the homebuilder’s offer to buyers is the offer to select your own lot. Also coming standard with each KB Southern California home is an upgraded solar power system, energy-efficient lighting and appliances. Homes are also built with radiant barrier roofs to reduce heat buildup in a home, blown-in insulation, certified for no air duct leaks, built with sustainable resources whenever possible and with water conservation in mind. The homes come with full structural wiring for built-in surround sound and to accommodate flat-screen TV’s in recesses built into the walls. All new KB homes are built to be Energy Star Efficient, bringing monthly utility costs down so as not to be a barrier to home ownership when buyers begin calculating the cost of buying a new home together with the expense of maintaining the home. Paying an estimated $11 to $30 each month for home heating and air conditioning costs — depending on how conscientious the homeowner is in using his or her energy-efficient options — can make a big difference in making mortgage payments. Certainly, the economy affected the way the builder constructs homes, a company official said. Building homes only as they are sold is one way of reining in costs. “We have also been building based on points of destinations,” DiPrima said. The company selects building sites near freeways as a more cost-effective means of transporting in building materials. KB also approached building with producing less waste, DiPrima said. Less material is brought onto the building site now, and the trades people are carefully choreographed so that several activities are happening on each home at the same time, reducing the amount of time to build each home. Buyers are not willing, or able, to wait months for their home to be completed, DiPrima said. So, the company turns a new home around in only a couple of months. But the gutsiest decision to let homeowners customize so much of their home, down to the lot selection, has come through frequent surveys of new-home buyers. “We go through and evaluate every community, trends in the market, employment, demographics and listen to what buyers say they want,” DiPrima said. Builders often build homes the way they want to live, but the buyers don’t have the same income level, he said. Before the economic downturn, the trend was for homes to get bigger to justify the prices being charged, but buyers didn’t necessarily want all the features the builders were putting into homes. DiPrima said he recently attended a homebuyer event hosted by a builder. Buyers had purchased large 3,000-square-foot homes and could afford the mortgage, but not maintenance or utility costs. The company also found buyers are living less formally, and don’t necessarily want a large living or dining room. So, KB began building large great rooms surrounding the kitchen where the family spent most of its time together in a home. Based on all the feedback, the company has been collecting, KB Home made a conscious decision to listen to the customer and build what they wanted, he said. Giving buyers what they want and lots of design choices has resulted in a cancellation rate that is low. And all those options are translating to improved profits in what remained a decidedly difficult year in 2011. Net orders for KB Home in the fourth quarter of 2011 increased 38 percent compared to the fourth quarter of 2010. And the number of homes in backlog is projected to bring an increase of 74 percent in future housing revenues over the prior year. Fourth quarter revenues were up 6 percent over 2010, driven by an increase in the number of homes delivered to buyers and a 3-percent increase in the average price. Locally, KB Home reported net orders increased 48 percent on the West Coast, the region of the country that first began sinking when the housing market crashed before the Great Recession. Net orders were also higher in each of the company’s four geographic regions, with increases beginning at 10 percent. Traffic at the model homes is up year-over-year, he added. And the company is getting a lot of pre-orders. Key to ongoing progress is job growth but DiPrima believes the country is headed in the right direction with four to five months of job gains. The downturn was far greater than anyone expected, he said. “For the first time in a lot of years, we’re starting to see change. We’re seeing normalizing. I’m really hopeful that maybe this is the year things will turn around. But one thing is for certain, DiPrima said. Each member of the management team stands behind its products. All of the executives live and work in the communities we build in, DiPrima said. 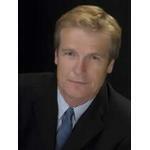 That was a key initiative of Jeffrey Mezger, president and CEO. He believes it’s important to live and be involved in the community where we build. DiPrima himself serves on several boards. For one, he is president and chairman of the Board for the Golden State Gateway Coalition. KB is building homes in the area, and transportation is key, he said. The coalition advocates widening and adding truck lanes to the I-5. Also serving as president of the North Los Angeles County Regional Advisory Board for the Painted Turtle and on the Antelope Valley East Kern Water District steering committee as a L.A./Ventura Building Industry Association representative, DiPrima also serves on the building advisory board for Paraclete High School in the Antelope Valley where KB is also constructing new homes. DiPrima also served four terms as President of the Antelope Valley Building Industry. “There’s not a lot of places to hide in a grocery store when you run into the very same people you helped buy a home,” DiPrima said.